Meerkatsu and 93 Brand are back.at it. After the success of the Mandrill Gi, they've put their talents toward a wh ite kimono. The result is the beautifully executed Zodiac Gi. Q. 6'1, 180-185 lbs and am looking at A2L vs A2. Is there somewhere I can find the actual inch measurements of the gi? I'm also curious about the . . .
A. 6'1, 180-185 lbs and am looking at A2L vs A2. Is there somewhere I can find the actual inch measurements of the gi? I'm also curious about the . . . Comment. 6'1, 180-185 lbs and am looking at A2L vs A2. Is there somewhere I can find the actual inch measurements of the gi? I'm also curious about the . . .
6'1, 180-185 lbs and am looking at A2L vs A2. Is there somewhere I can find the actual inch measurements of the gi? I'm also curious about the length of the arms and legs. Also, the last 93 Brand gi that I bought was an A2L and the gi top was pretty baggy. Thanks! Q. 5'7 175 pounds. I'm short with wide shoulders-- A2 or go with an A1? A. 5'7 175 pounds. I'm short with wide shoulders-- A2 or go with an A1? Comment. 5'7 175 pounds. I'm short with wide shoulders-- A2 or go with an A1? 5'7 175 pounds. I'm short with wide shoulders-- A2 or go with an A1? Q. Can i have this and the premium A2 blue belt instead? Can you give me an offer since the standard 93brand A2 is our of stock? A. Can i have this and the premium A2 blue belt instead? Can you give me an offer since the standard 93brand A2 is our of stock? Comment. Can i have this and the premium A2 blue belt instead? Can you give me an offer since the standard 93brand A2 is our of stock? I love how this gi looks. Will you ever have this in A0H? 93 Brand A0H fits me perfectly. Wishing you would do this in that size. Q. I'm 6ft tall and weight between approx 185 - 190 lbs and have looong arms. I'd like to be able to wash and dry the gi (instead of . 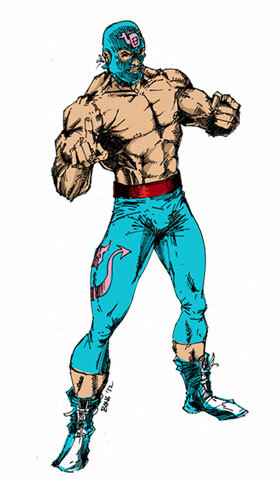 . .
A. I'm 6ft tall and weight between approx 185 - 190 lbs and have looong arms. I'd like to be able to wash and dry the gi (instead of . . . Comment. I'm 6ft tall and weight between approx 185 - 190 lbs and have looong arms. I'd like to be able to wash and dry the gi (instead of . . . I'm 6ft tall and weight between approx 185 - 190 lbs and have looong arms. I'd like to be able to wash and dry the gi (instead of air drying). I currently have an A3 Manto, which is the right length on sleeves, but way to big in the waist. What size would you recommend? I was thinking A2L, but am really worried about the dryer shrink. It's really hard to gauge how the Gi will fit after shrinking. I think the A2L might get too tight after a dryer run. I would possibly consider the A3 if you are really intent on machine drying. Q. I am 5"9.5" tall and weigh 242, I have a 93 brand Bomber GI in size A2H and it fits well, do you think that an A3 in . . .
A. I am 5"9.5" tall and weigh 242, I have a 93 brand Bomber GI in size A2H and it fits well, do you think that an A3 in . . . Comment. I am 5"9.5" tall and weigh 242, I have a 93 brand Bomber GI in size A2H and it fits well, do you think that an A3 in . . .
Q. I have an A2H 93 Brand Bomber and it fits well. 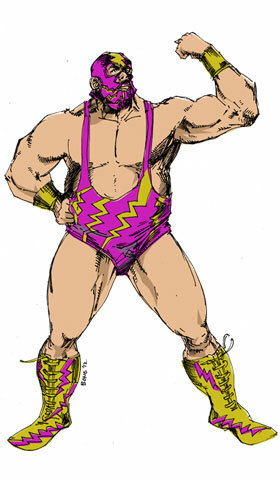 I am 5'9"-5'10" depending on the day, I weigh about 240 - former Olympic weightlifter etc. Do . . .
A. I have an A2H 93 Brand Bomber and it fits well. 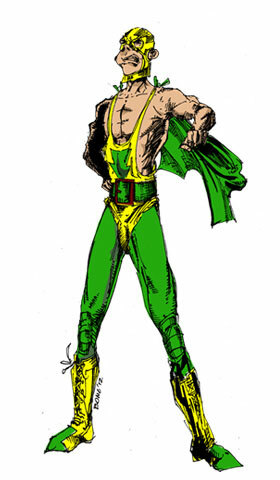 I am 5'9"-5'10" depending on the day, I weigh about 240 - former Olympic weightlifter etc. Do . . . Comment. I have an A2H 93 Brand Bomber and it fits well. I am 5'9"-5'10" depending on the day, I weigh about 240 - former Olympic weightlifter etc. Do . . . I am 5"9.5" tall and weigh 242, I have a 93 brand Bomber GI in size A2H and it fits well, do you think that an A3 in the Zodiac would work for me? I would probably stick with the A2H. It's a little bit wider than the A3, and shorter. A3 would probably end up being too tight and too long. I have an A2H 93 Brand Bomber and it fits well. I am 5'9"-5'10" depending on the day, I weigh about 240 - former Olympic weightlifter etc. Do you think I can get away with an A3? 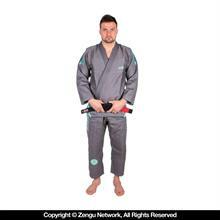 The reason that I ask is this GI appears to be awesome but no A2H in stock. Q. 5'4" and weight fluctuates between 168-175lbs. Was thinking of getting the A2. Would this size work? A. 5'4" and weight fluctuates between 168-175lbs. Was thinking of getting the A2. Would this size work? Comment. 5'4" and weight fluctuates between 168-175lbs. Was thinking of getting the A2. Would this size work? 5'4" and weight fluctuates between 168-175lbs. Was thinking of getting the A2. Would this size work? Q. Do I need to not have the zodiac patch sewn on to retain the ability to return if the fit doesn't work out? If so, how do I . . .
A. Do I need to not have the zodiac patch sewn on to retain the ability to return if the fit doesn't work out? If so, how do I . . . Comment. Do I need to not have the zodiac patch sewn on to retain the ability to return if the fit doesn't work out? If so, how do I . . .
Do I need to not have the zodiac patch sewn on to retain the ability to return if the fit doesn't work out? If so, how do I choose the patch and not have it sewn on? Q. Is A1 size or A1F size coming up soon? A. Is A1 size or A1F size coming up soon? Comment. Is A1 size or A1F size coming up soon? Is A1 size or A1F size coming up soon? Q. When will this be back in stock in size a4? A. When will this be back in stock in size a4? Comment. When will this be back in stock in size a4? Q. I'm 6'-2", 235 pounds. Little flabby right now, will tighten up as training intensifies. 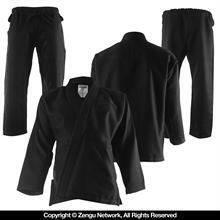 Currently wear a Ronin brand fitted gi, size a3. Length is fine, jacket is . . .
A. I'm 6'-2", 235 pounds. Little flabby right now, will tighten up as training intensifies. 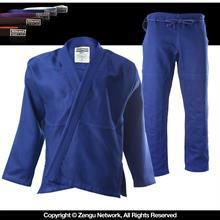 Currently wear a Ronin brand fitted gi, size a3. Length is fine, jacket is . . . Comment. I'm 6'-2", 235 pounds. Little flabby right now, will tighten up as training intensifies. 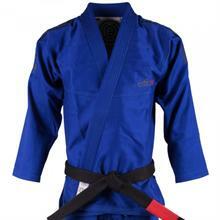 Currently wear a Ronin brand fitted gi, size a3. Length is fine, jacket is . . . I'm 6'-2", 235 pounds. Little flabby right now, will tighten up as training intensifies. 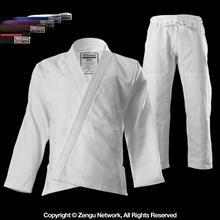 Currently wear a Ronin brand fitted gi, size a3. Length is fine, jacket is slighty tight around the middle. 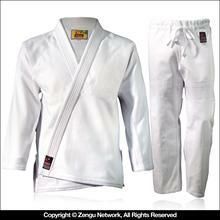 Looking at this gi because of the lightweight and want a white gi for warmer training. Debating between a3 and a4. I wash cold and hang dry. Recommendations? A3 should do you fine as long as you cold wash and hang dry. Especially if you are trimming down as you train more. Q. I was wondering what size to get an a2L or a3. I always wash my gi in hot water. I'm 6'0 176lbs. A. I was wondering what size to get an a2L or a3. I always wash my gi in hot water. I'm 6'0 176lbs. Comment. I was wondering what size to get an a2L or a3. I always wash my gi in hot water. I'm 6'0 176lbs. I was wondering what size to get an a2L or a3. I always wash my gi in hot water. I'm 6'0 176lbs. A2L is better than A3. Honestly, if you pick up the A2 and cold wash/hang dry, it'll fit like a glove! A2 is a much better choice in my opinion. Q. 5'9 and 170 lbs. is A1L ok? A. 5'9 and 170 lbs. is A1L ok? Comment. 5'9 and 170 lbs. is A1L ok? 5'9 and 170 lbs. is A1L ok? Yes, A1L if you like to wash cold / hang dry. A2 if you prefer to use warm wash and machine dry. 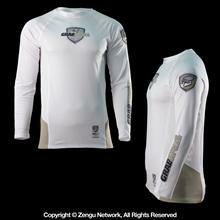 Q. how do these fit compared to under armor compression shirts? A. how do these fit compared to under armor compression shirts? Comment. how do these fit compared to under armor compression shirts? Q. I am 5'8 and 180-190 and I've had to wear A-4 for arm length, I have very broad shoulders/back/chest. I have had to hem the pants because I . . .
A. I am 5'8 and 180-190 and I've had to wear A-4 for arm length, I have very broad shoulders/back/chest. I have had to hem the pants because I . . . Comment. I am 5'8 and 180-190 and I've had to wear A-4 for arm length, I have very broad shoulders/back/chest. I have had to hem the pants because I . . .
Q. I'm 5'8 190 and I have long arms what would be the best size? A. I'm 5'8 190 and I have long arms what would be the best size? Comment. I'm 5'8 190 and I have long arms what would be the best size? I am 5'8 and 180-190 and I've had to wear A-4 for arm length, I have very broad shoulders/back/chest. I have had to hem the pants because I am not 6 stories tall what size would you recommend?? You are just a tiny bit above the A2 range, but below the A2H range as that is intended for someone heavier than you (A3 would be too long in the sleeves and pants). But if you have exceptionally wide/broad back and shoulders, an A2H may be just what you need. I'd say that is your best shot! I'm 5'8 190 and I have long arms what would be the best size? A2 is the way to go. Q. Whoops, wrong brand. 93 Brand doesn't have A0S, but their A0 is still very awesome for shorter people who have some meat on their bones. I got 93 . . .
A. Whoops, wrong brand. 93 Brand doesn't have A0S, but their A0 is still very awesome for shorter people who have some meat on their bones. I got 93 . . . Comment. Whoops, wrong brand. 93 Brand doesn't have A0S, but their A0 is still very awesome for shorter people who have some meat on their bones. I got 93 . . .
Q. I am a 5'0" female, and my weight fluctuates between 117-122lbs. I purchased the A0S. Out of the bag, the Zodiac jacket was moderately large for my small . . .
A. I am a 5'0" female, and my weight fluctuates between 117-122lbs. I purchased the A0S. Out of the bag, the Zodiac jacket was moderately large for my small . . . Comment. I am a 5'0" female, and my weight fluctuates between 117-122lbs. I purchased the A0S. Out of the bag, the Zodiac jacket was moderately large for my small . . . I am a 5'0" female, and my weight fluctuates between 117-122lbs. I purchased the A0S. Out of the bag, the Zodiac jacket was moderately large for my small frame (fingertips barely peeked out from under the sleeves); the pants length was long (nearly grazed the ground) and the fit around my thighs were a bit roomy (not a bad thing). I took a chance & put this gi in an initial warm wash. The warm water shrank the gi to a decent length (sleeves revealed most of my hand, but still long for my liking). The pant legs shrank to a better length (I don't have to worry about it getting excessively dirty on the bottom) and the thigh area was not as baggy and I could still maneuver my hips without constriction. Threw them both in permanent press setting of the dryer and monitored it every 15 minutes. I took the pants out after the first cycle, and kept the jacket in for 45min total. Wore it once to training and it was amazing. Lightweight and very comfortable, despite the sleeves being still a bit long and allowing partners to grab. I have a feeling that it will shrink a little more, and I'm all for that. I really like this gi because of aesthetic reasons AND it feels good to roll around in. I appreciate 93 Brand because they have A0S - thank you for catering to small humans such as myself! I'll definitely buy more 93 Brand gis! And RollMore is awesome for getting this beautiful gi to me in a short amount of time, and I LOVE the patch. Thanks again, everyone! Whoops, wrong brand. 93 Brand doesn't have A0S, but their A0 is still very awesome for shorter people who have some meat on their bones. I got 93 Brand mixed up with another awesome brand I like that also caters to people of my build. Apologies! Q. I am 5'9 152lbs what would be the best size for me? 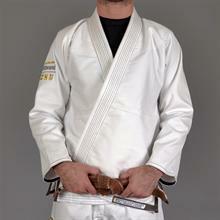 I really want this gi! A. I am 5'9 152lbs what would be the best size for me? 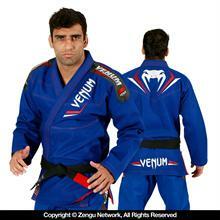 I really want this gi! Comment. I am 5'9 152lbs what would be the best size for me? 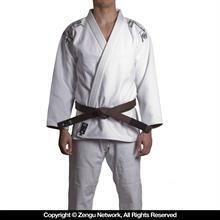 I really want this gi! I am 5'9 152lbs what would be the best size for me? 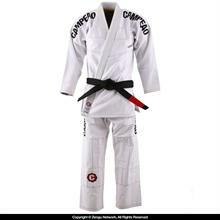 I really want this gi! A2 and then shrink to fit as needed. Q. I'm 5'9 and 170lbs. I see there are some comments about this gi running a little big even after wash and dry. I purchased the Tatami Sub-Zero V2 . . .
A. I'm 5'9 and 170lbs. I see there are some comments about this gi running a little big even after wash and dry. I purchased the Tatami Sub-Zero V2 . . . Comment. I'm 5'9 and 170lbs. I see there are some comments about this gi running a little big even after wash and dry. I purchased the Tatami Sub-Zero V2 . . .
Q. Considering "The Zodiac" as my next gi. Love the art work, but the patch seems a bit big for the front of the gi. Do you by chance . . .
A. Considering "The Zodiac" as my next gi. Love the art work, but the patch seems a bit big for the front of the gi. Do you by chance . . . Comment. Considering "The Zodiac" as my next gi. Love the art work, but the patch seems a bit big for the front of the gi. Do you by chance . . . Considering "The Zodiac" as my next gi. Love the art work, but the patch seems a bit big for the front of the gi. Do you by chance have a pic of one with the patch in the upper center back? Unfortunately I don't have a pic on hand, but it is around 7" in diameter so it will not look big by any means (many back patches are more like 10"). I'm 5'9 and 170lbs. I see there are some comments about this gi running a little big even after wash and dry. I purchased the Tatami Sub-Zero V2 in an A2 an it was huge even after wash. Do you think an A1L or A2 would be better for "The Zodiac"? Q. At 6'5" and 230 lbs, the A3L fits like a dream. Super lightweight (my new competition gi, as a result) and really really comfortable. Will definitely reccomend and . . .
A. At 6'5" and 230 lbs, the A3L fits like a dream. Super lightweight (my new competition gi, as a result) and really really comfortable. Will definitely reccomend and . . . Comment. At 6'5" and 230 lbs, the A3L fits like a dream. Super lightweight (my new competition gi, as a result) and really really comfortable. Will definitely reccomend and . . .
Q. I love this gi. The jacket is super-soft, the whole thing is light, and it's awesome to train in. I'm 6'5" and 230, and it fits me perfectly . . .
A. I love this gi. The jacket is super-soft, the whole thing is light, and it's awesome to train in. I'm 6'5" and 230, and it fits me perfectly . . . Comment. I love this gi. The jacket is super-soft, the whole thing is light, and it's awesome to train in. I'm 6'5" and 230, and it fits me perfectly . . .
At 6'5" and 230 lbs, the A3L fits like a dream. Super lightweight (my new competition gi, as a result) and really really comfortable. Will definitely reccomend and continue to buy 93 brand kimonos. I love this gi. The jacket is super-soft, the whole thing is light, and it's awesome to train in. I'm 6'5" and 230, and it fits me perfectly (the A3L, that is.) Will definitely be buying more from 93 brand. Q. I am 5' 7" and about 180lbs. I have a very wide chest (40/41in) What size should I purchase? A1 or A2? A. I am 5' 7" and about 180lbs. I have a very wide chest (40/41in) What size should I purchase? A1 or A2? Comment. I am 5' 7" and about 180lbs. I have a very wide chest (40/41in) What size should I purchase? A1 or A2? What size should I purchase? A1 or A2? Q. Will this Gi be available through any other dealer(wholesale included) or will it ONLY ever be available through roll more? A. Will this Gi be available through any other dealer(wholesale included) or will it ONLY ever be available through roll more? Comment. Will this Gi be available through any other dealer(wholesale included) or will it ONLY ever be available through roll more? Will this Gi be available through any other dealer(wholesale included) or will it ONLY ever be available through roll more? This is a RollMore exclusive, 100%. Q. This is very similar to a previously answered question, but I just want to double check. I'm 6'2", 220 lbs, 44.5" chest, and 34" waist. Should I go . . .
A. This is very similar to a previously answered question, but I just want to double check. I'm 6'2", 220 lbs, 44.5" chest, and 34" waist. Should I go . . . Comment. This is very similar to a previously answered question, but I just want to double check. I'm 6'2", 220 lbs, 44.5" chest, and 34" waist. Should I go . . . This is very similar to a previously answered question, but I just want to double check. I'm 6'2", 220 lbs, 44.5" chest, and 34" waist. Should I go with the A3? I was considering the A3L for the length. 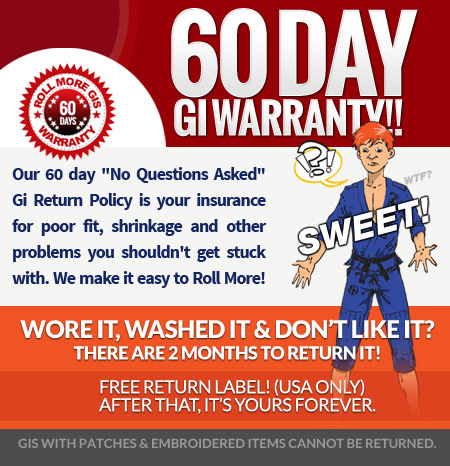 Also, will ordering the gi with patches negate the 60-day return window? The patch will negate the return policy. Q. 6' 2"; 225 lbs; 36" waist; 44" chest: Most of my A4s are a bit wide and short. I like to warm/cold wash/rinse and air dry. What size . . .
A. 6' 2"; 225 lbs; 36" waist; 44" chest: Most of my A4s are a bit wide and short. I like to warm/cold wash/rinse and air dry. What size . . . Comment. 6' 2"; 225 lbs; 36" waist; 44" chest: Most of my A4s are a bit wide and short. I like to warm/cold wash/rinse and air dry. What size . . .
6' 2"; 225 lbs; 36" waist; 44" chest: Most of my A4s are a bit wide and short. I like to warm/cold wash/rinse and air dry. What size would you recommend? A3 will be perfect as long as you Cold wash/Hang dry. Q. I am 5'10" and 215lbs. Should I choose an A3? What size is the zodiac patch we select? Is the upper inner jacket design the same? Thanks very . . .
A. I am 5'10" and 215lbs. Should I choose an A3? What size is the zodiac patch we select? Is the upper inner jacket design the same? Thanks very . . . Comment. I am 5'10" and 215lbs. Should I choose an A3? What size is the zodiac patch we select? Is the upper inner jacket design the same? Thanks very . . . I am 5'10" and 215lbs. Should I choose an A3? What size is the zodiac patch we select? Is the upper inner jacket design the same? A2H is a better choice, it'll be a better length than the A3. The Zodiac patch is about 7" in diameter. The interior jacket panel is a sublimated piece that features all of the Zodiac illustrations arranged on a navy blue background. Q. Thanks Sir George! Just ordered! A. Thanks Sir George! Just ordered! Comment. Thanks Sir George! Just ordered! Q. Thanks Sir George. Just read your return policy and says that a gi isn't returnable if a patch is added. Does that apply to the zodiac patch as . . .
A. Thanks Sir George. Just read your return policy and says that a gi isn't returnable if a patch is added. Does that apply to the zodiac patch as . . . Comment. Thanks Sir George. Just read your return policy and says that a gi isn't returnable if a patch is added. Does that apply to the zodiac patch as . . .
Q. I'm 5'5, 160-165 lbs...will an A1 be okay? This has a similar sizing chart to Inverted Gear, so is it safe to say it should fit similar as . . .
A. I'm 5'5, 160-165 lbs...will an A1 be okay? This has a similar sizing chart to Inverted Gear, so is it safe to say it should fit similar as . . . Comment. I'm 5'5, 160-165 lbs...will an A1 be okay? This has a similar sizing chart to Inverted Gear, so is it safe to say it should fit similar as . . . I'm 5'5, 160-165 lbs...will an A1 be okay? This has a similar sizing chart to Inverted Gear, so is it safe to say it should fit similar as well? I wear an A1 in the original Panda gi that I wash cold and tumble dry low and it fits fine. 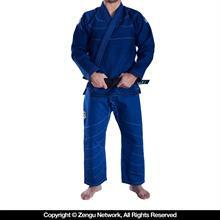 Also, how does the Zodiac gi compare to the Flow Kimono Air gi? Yes, A1 will be perfect. The fit on 93 Brand is a bit bigger than Inverted Gear, but somewhat similar. Thanks Sir George. Just read your return policy and says that a gi isn't returnable if a patch is added. Does that apply to the zodiac patch as well? If so, could I get the patch not sewn on just in case the gi doesn't fit right or shrinks too much? Thanks. Thanks Sir George! Just ordered! Q. Im 5'10" and 165 lbs would an A1L or A2 be best? A. Im 5'10" and 165 lbs would an A1L or A2 be best? Comment. Im 5'10" and 165 lbs would an A1L or A2 be best? Im 5'10" and 165 lbs would an A1L or A2 be best? I'm 5'9 190 waist size 34 would an A2 be alright? Q. I am 5' and 110 pounds (right on the bottom of the chart for this gi). Is it going to be too big for me? A. I am 5' and 110 pounds (right on the bottom of the chart for this gi). Is it going to be too big for me? Comment. I am 5' and 110 pounds (right on the bottom of the chart for this gi). Is it going to be too big for me? Q. What weight does XS fit? A. What weight does XS fit? Comment. What weight does XS fit? I am 5' and 110 pounds (right on the bottom of the chart for this gi). Is it going to be too big for me? Was that a typo with the inches missing or you mean 5'0" ? If you're 5'0" then A0 will work, just might need a warm wash and/or a Medium Heat cycle to shrink-to-fit. Q. Is this gi IBJJF approved? A. Is this gi IBJJF approved? Comment. Is this gi IBJJF approved? Is this gi IBJJF approved? Q. I'm 5'7", 140lbs. Which size would you recommend? And do I need to shrink it before use? Thanks. A. I'm 5'7", 140lbs. Which size would you recommend? And do I need to shrink it before use? Thanks. Comment. I'm 5'7", 140lbs. Which size would you recommend? And do I need to shrink it before use? Thanks. Q. I live in Hong Kong. When I proceeded to the PayPal page to check out, it said your site would not send to my place. Does it mean . . .
A. I live in Hong Kong. When I proceeded to the PayPal page to check out, it said your site would not send to my place. Does it mean . . . Comment. I live in Hong Kong. When I proceeded to the PayPal page to check out, it said your site would not send to my place. Does it mean . . .
Q. I am 5'7" and 140lbs. Which size should I go, A1 or A1L? A. I am 5'7" and 140lbs. Which size should I go, A1 or A1L? Comment. I am 5'7" and 140lbs. Which size should I go, A1 or A1L? I am 5'7" and 140lbs. Which size should I go, A1 or A1L? A1L will be too long, you should definitely go for the A1 if you like a standard type of fit... or if you prefer a more tailored cut, then the A1F (A1-Fitted) is the way to go (just be sure you cold wash/hang dry in that case). I live in Hong Kong. When I proceeded to the PayPal page to check out, it said your site would not send to my place. Does it mean I can't buy the gi from here? Q. 5'11" 185lbs, what size would work? A. 5'11" 185lbs, what size would work? Comment. 5'11" 185lbs, what size would work? Q. 5'11" 185ish lbs. Should I go with the A2L or A3? A. 5'11" 185ish lbs. Should I go with the A2L or A3? Comment. 5'11" 185ish lbs. Should I go with the A2L or A3? 5'11" 185ish lbs. Should I go with the A2L or A3? You can rock the A3 if you plan on washing warm and/or drying with heat... but if you're planning to follow the manufacturer's of Cold Wash/Hang dry then you actually wear the A2. Q. Hi guys... I'm 5' 10", 190 pounds... I find some a3's large (Grips Athletics), and other A3's perfect (Fuji Sakai).. so A2, A2L or A3? A. Hi guys... I'm 5' 10", 190 pounds... I find some a3's large (Grips Athletics), and other A3's perfect (Fuji Sakai).. so A2, A2L or A3? Comment. Hi guys... I'm 5' 10", 190 pounds... I find some a3's large (Grips Athletics), and other A3's perfect (Fuji Sakai).. so A2, A2L or A3? Hi guys... I'm 5' 10", 190 pounds... I find some a3's large (Grips Athletics), and other A3's perfect (Fuji Sakai).. so A2, A2L or A3? Samantha, yes the Gi is IBJJF legal. Q. Got this Gi for my son. I always expect shrinkage from all brands, so I do not find shrinkage to be unexpected and we did intentionally shrink it . . .
A. Got this Gi for my son. I always expect shrinkage from all brands, so I do not find shrinkage to be unexpected and we did intentionally shrink it . . . Comment. Got this Gi for my son. I always expect shrinkage from all brands, so I do not find shrinkage to be unexpected and we did intentionally shrink it . . .
Got this Gi for my son. I always expect shrinkage from all brands, so I do not find shrinkage to be unexpected and we did intentionally shrink it to fit my son. First thing that surprised both, my son and I, was how light yet strong this gi is. As far as comfort, my son's exact words were: "It feels like air, dad!". I am not going to brag about my sons achievements in BJJ, suffice to say that he has been practicing it for the last 6 years and has attended many tournaments. We chose an A0 gi and could not be happier. My son owns Atama, GTMA (his first favorite), Keiko, Adidas and now this Zodiac. Each one took some time to adjust to the feel, the weight, etc., but that is to be expected! Bjj is an evolving art and the gi is evolving with it. 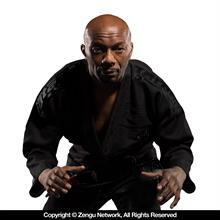 As far as comfort, it can be used as a problem or as a weapon; in the long run, a mat is not a catwalk and each body is different: designer and made to order gi are out there and cost much more. This gi does was it is expected to do, and surpasses my normal expectations as far as a gi design, feel and strength are concerned. Great job on this gi 93Brand and Meerkatsu! The only thing I have to say is that it shouldn't have been discounted so fast. Q. EDIT**- Fits like a typical (Keiko, Koral, Shoyoroll...) A1 or A1L and is NOT fitted. A. EDIT**- Fits like a typical (Keiko, Koral, Shoyoroll...) A1 or A1L and is NOT fitted. Comment. EDIT**- Fits like a typical (Keiko, Koral, Shoyoroll...) A1 or A1L and is NOT fitted. Q. This is my first 93 brand Gi I have purchased - I am 5' 7.5" and weight 140lb I purchased a A1F "fitted". Pros. - Good quality - . . .
A. This is my first 93 brand Gi I have purchased - I am 5' 7.5" and weight 140lb I purchased a A1F "fitted". Pros. - Good quality - . . . Comment. This is my first 93 brand Gi I have purchased - I am 5' 7.5" and weight 140lb I purchased a A1F "fitted". Pros. - Good quality - . . . This is my first 93 brand Gi I have purchased - I am 5' 7.5" and weight 140lb I purchased a A1F "fitted". - I like the customization you can do to your Gi. - Does NOT fit like a Shoyoroll A1F (the only other company I know of that makes a "Fitted" Gi and fits perfect for me)... it is much bigger even after 1 wash and thrown in the dryer on HOT. It seemed to shrink a little but not much. - Not a fitted Gi for a skinny guy like me. Lastly - Rollmore has awesome customer service. If this is your 1st time buying from this site they are great. Very pleased. EDIT**- Fits like a typical (Keiko, Koral, Shoyoroll...) A1 or A1L and is NOT fitted. Q. I'm 5'8'' and 195 pounds A2H or A3 ??? A. I'm 5'8'' and 195 pounds A2H or A3 ??? Comment. I'm 5'8'' and 195 pounds A2H or A3 ??? I'm 5'8'' and 195 pounds A2H or A3 ??? A3 would be pretty long at 5'8", but A2H would be a bit wide at 195 lbs., so it depends on which you would prefer. The pants knee reinforcement is it just another layer of the pants? Or is pearl weave gi? And is the crotch area pearl weave too?? i meant tot say is the crotch gusset pearl weave? and the extra Knee padding is that also pearl weave?